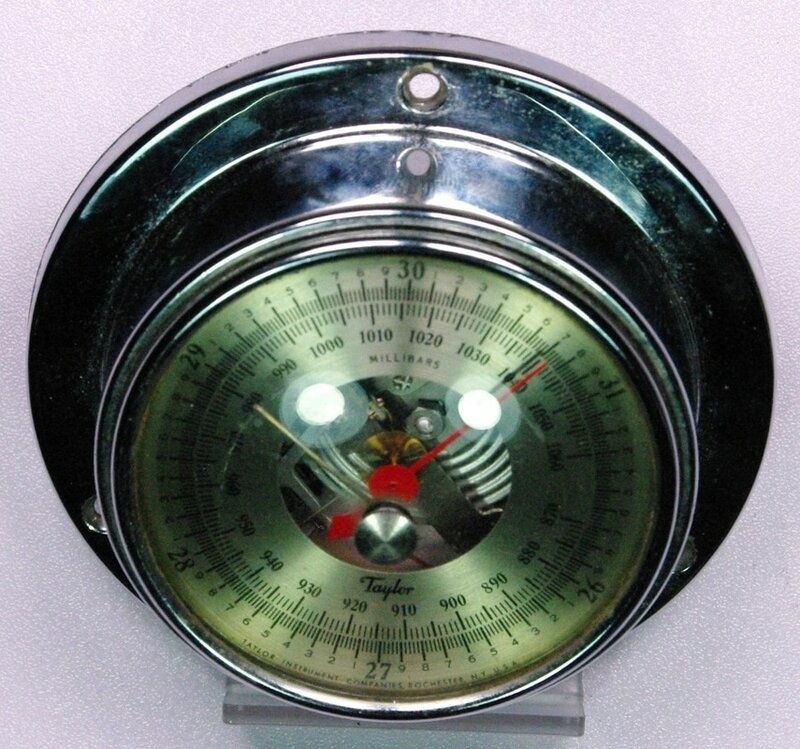 This Taylor 2236 'Commodore' marine barometer dates from the 1960s. It is small, the dial is 2.75 inches across. It's waterproof for the small boating market and has a dial on the back to set the elevation between 0 and 3,500 feet so that the main dial indicates sea level pressure. A separate version was available for 3,500 to 7,000 feet. It has scales for inHg and millibars. I like it because it doesn't say 'Rain-Change-Fair'.